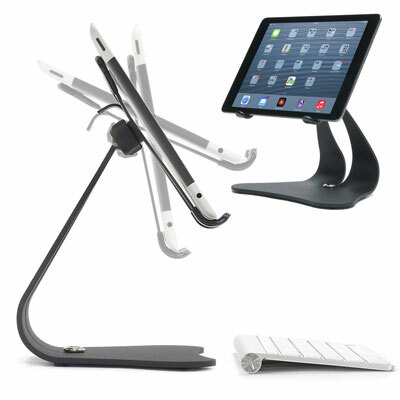 Stabile Pro: an elegant stand for your iPad Pro and other comparable tablets. It has thick vinyl padding to protect your tablet. 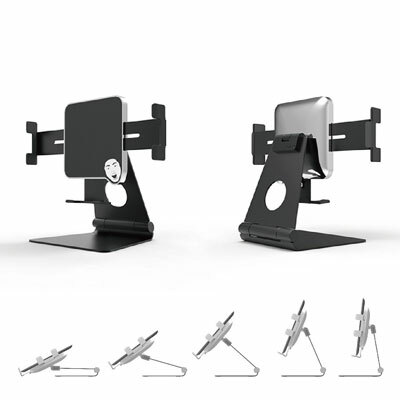 Holder King iPad Pro Holder: it extends 3″ horizontally and holds your tablet. You don’t need a special tool to set it up. 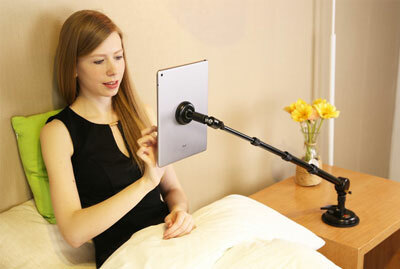 LEVO Deluxe iPad Floor Stand: a versatile stand that lets you sit, recline, or lie in bed to view content on your tablet. Lets you use your tablet in portrait or landscape position. 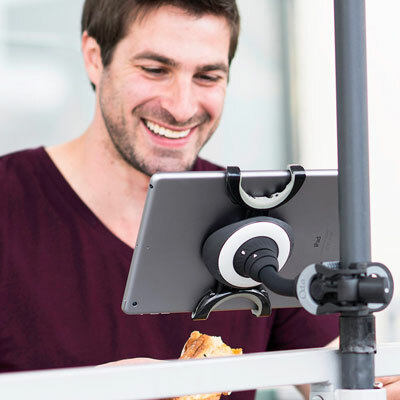 iShot G7 Pro: a tripod mount for your iPad Pro. It attaches to any standard 1/4-20 thread tripod head. TabletTail: a universal tool that clamps to any surface to hold your tablet. 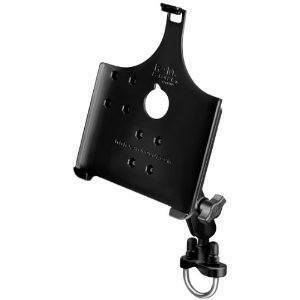 It can be mounted to tripods, music stands, and other similar surfaces. 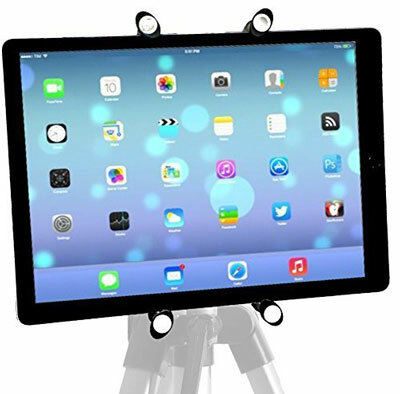 Arkon iPad Pro Mount: fits tablets 8.9 to 12.9″ in screen size. 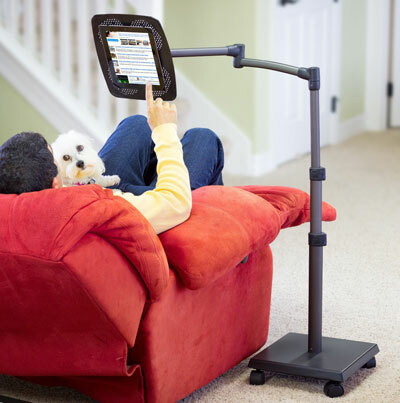 It has a 8″ arm and swivel ball, giving you flexibility while viewing things on your tablet. SPARIN Aluminum Stand for iPad Pro: a simple, portable tool for holding your tablet. It has rubber feet to hold your tablet firmly. 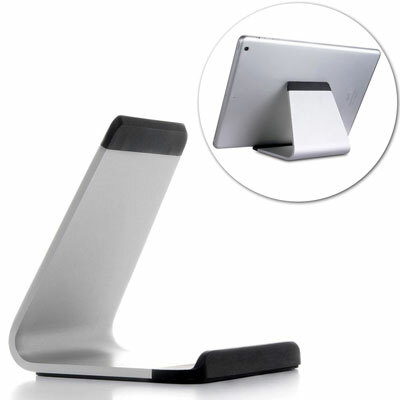 Oenbopo iPad Pro Tablet Holder: this tablet holder has a compact size and offers 270-degree of rotation. 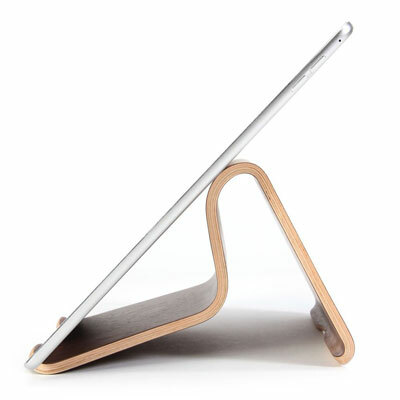 GMYLE iPad Pro Stand: a handcrafted wooden stand with a minimalist design. It offers two positions. 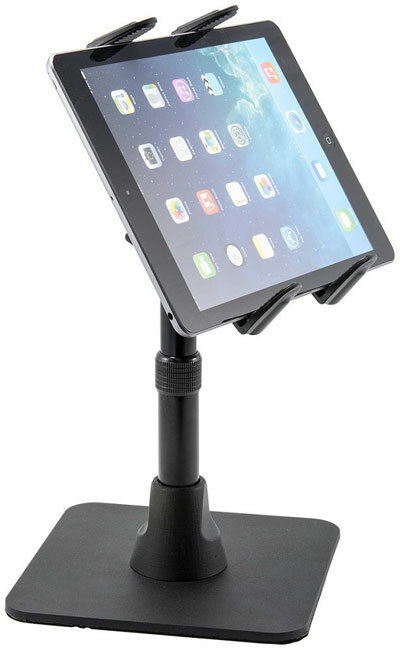 ChargerCity Table Stand for Tablets: this is suitable for 7 to 12″ tablets. 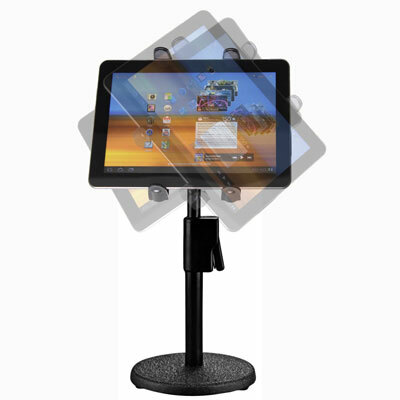 The Tablet Stand can be used for music, presentation, and more. Arkon Tablet Desk Stand: yet another iPad Pro stand with a weighted base. 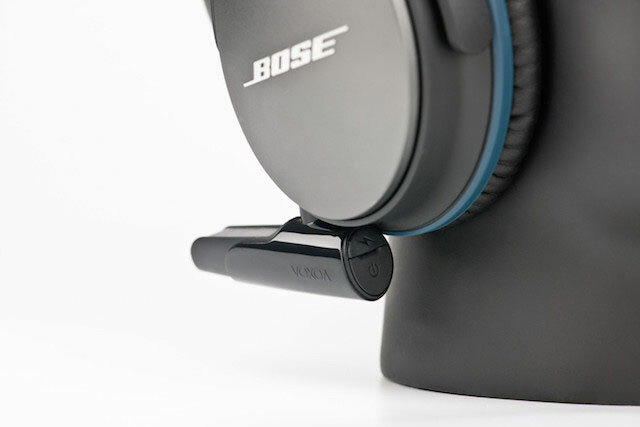 The extending arm extends from 7.5 to 9.75 inches. 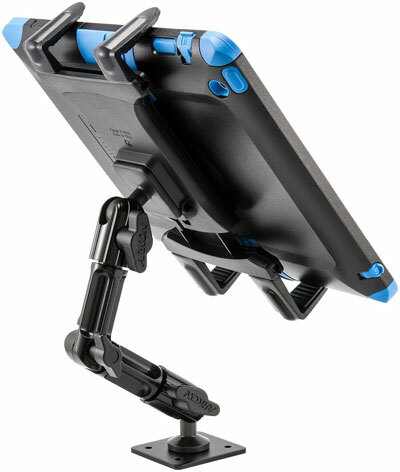 OZAKI iCarry Excavator: a multi-angle holder for your tablet. 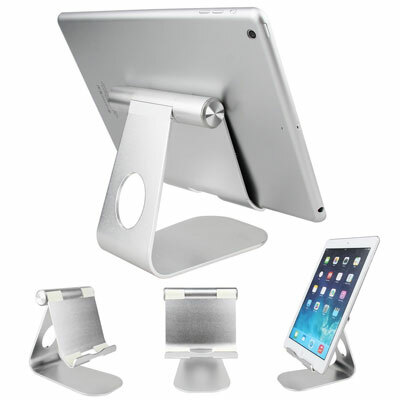 This 360° rotatable aluminum alloy desktop holder lifts your tablet to an ergonomic eye level. Have you found better iPad Pro mounts and stands? Please share them here.